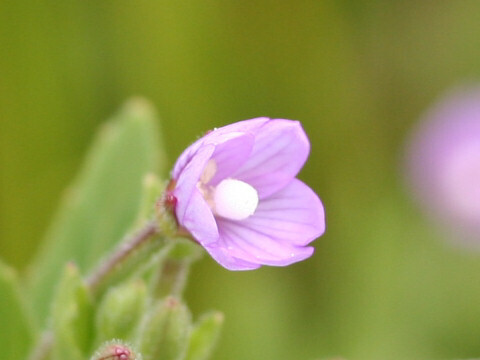 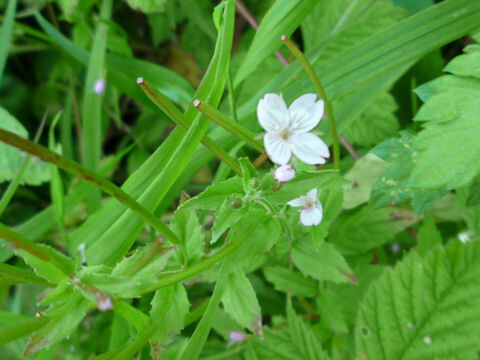 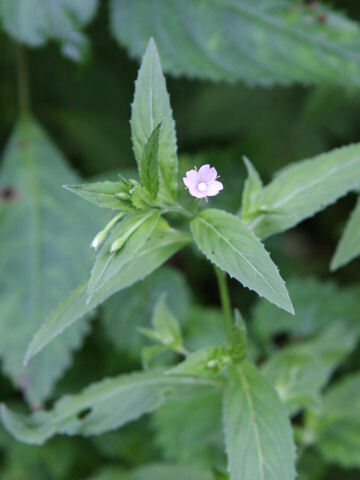 "Akabana" (Epilobium pyrricholophum) belongs to the Onagraceae (the Evening primrose family). 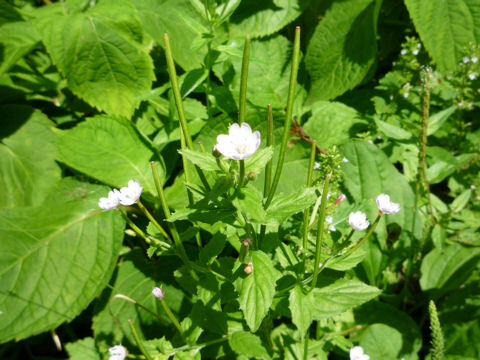 It is a perennial herb that is distributed throughout Japan, the Korean Peninsula, northeastern China and Sakhalin. 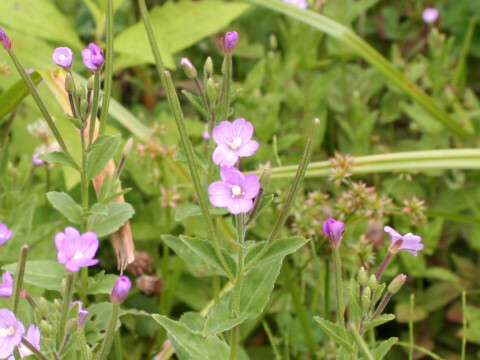 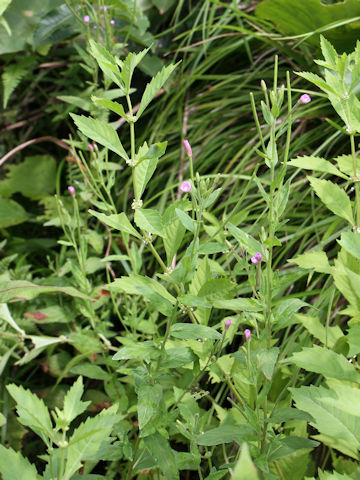 This herb grows on bogs in hills and fields, and can reach 30-70 cm in height. 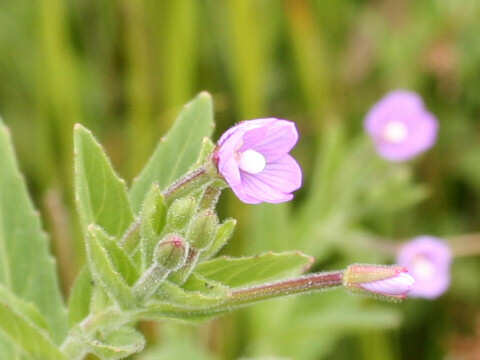 The stems are covered with fine hairs. 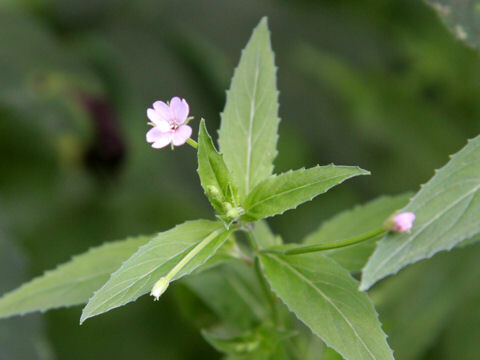 The leaves are ovate to ovate-elliptic and arranged in opposite. 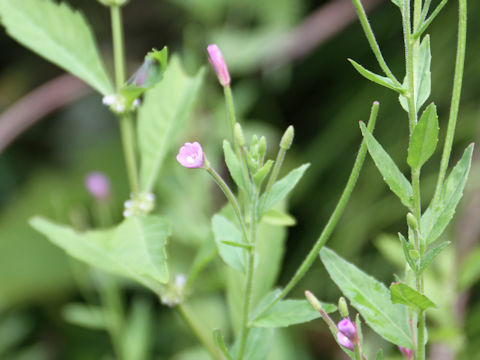 The magenta flowers bloom on the axils from July to September. 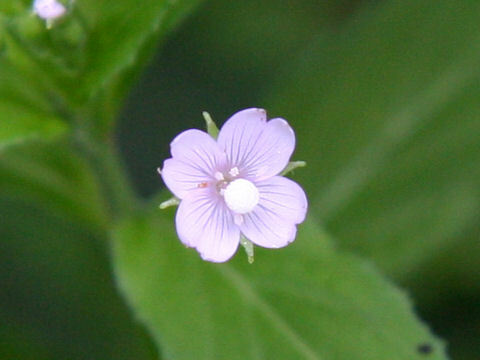 The corolla has four petals with shallow bilobate tips and peduncle-like long ovaries. 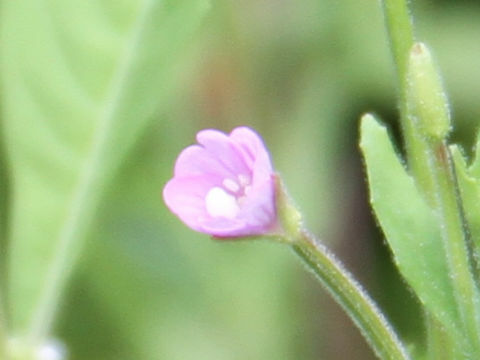 The stigmas are thick club-shaped.